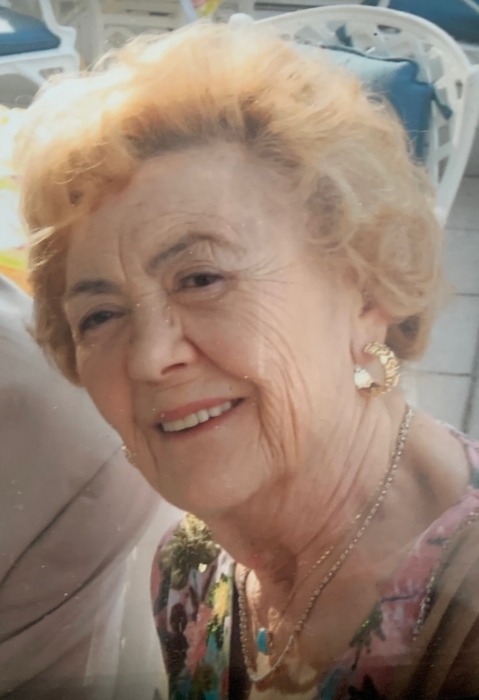 Marisa Scolamiero 96, of Little Falls passed away at her home on April 9, 2019. The Funeral Mass will be at Our Lady of the Holy Angels Church in Little Falls on Thursday at 10:30 AM. Interment is at Gate of Heaven Cemetery, East Hanover. Marisa was born in Bologna, Italy. She lived in East Orange, Newark, North Haledon and Parsippany before moving to Little Falls. She was a wonderful homemaker and a great cook who raised five children. She was a former member of the Woman's Auxiliary at Columbus Hospital in Newark for many years. Marisa was the wife of the late Pasquale J. Scolamiero MD. Mother of Reverend Dominic A.Scolamiero, Dr. Amedeo Scolamiero, Dr. John Scolamiero, Maria D' Andrea and her husband Dominick and the late Louis Scolamiero. Mother- in- Law of Bernadette. Grandmother of Christopher, M.D., Mynda, John, M.D., Marisa, Cristina, Caterina and Gianna; and Great-grandmother of Giulia.